The Tennessee Smokies is an area rich in history, activities, live shows and hundreds of retail and outlet shops that delight and entertain millions of visitors every year to Pigeon Forge, Gatlinburg, Sevierville, Townsend and Cherokee, NC. Here are some reasons for you and your family or group to make the Great Smoky Mountains of Tennessee your next vacation destination. First, the weather. Temperatures are normally mild all year long making your trip and your stay in the Smokies a pleasant experience any time of year. Summer is fun, especially with all of the outdoor activities to pursue like rafting, ziplining, horseback riding, four-wheeling, hiking, biking, go-carting and mini-golf. Pigeon Forge and Gatlinburg have hundreds of outdoor activities and Sevierville hosts NASCAR Speedpark, ropes course, stables and ziplines. Many of these activities continue into the fall months, but even then, horseback riding, four-wheeling and hiking are even more enjoyable in the cooler temperatures and with colorful leaves falling around your ankles. 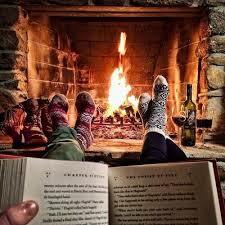 Winter is normally temperate but there are cold days and even snow. Ober Gatlinburg offers skiing, snowboarding, tubing and skating, and most of the attractions, like the Smoky Mountain Alpine Coaster, operate during the winter, except on the most extreme of days. The colder weather provides a perfect excuse to huddle in a cabin in the woods, stoke-up the fire, and enjoy the company of your friends and loved ones. As the weather warms and Mother Nature unveils her finest greenery and flowering colors, the Smoky Mountains provide a beautiful and welcoming backdrop to a weekend or pre-summer vacation. There is always something to do in the Great Smoky Mountains National Park - like the annual Wildflower Pilgrimage - and theaters are opening with new shows and the attractions welcome visitors with open arms. I mentioned the Old Mill in the headline so it is natural to expect that eating, and eating well, is one of the many satisfying things to do in the Smokies. The Old Mill Restaurant is a historic building offering great Southern Food with outstanding Southern Hospitality. 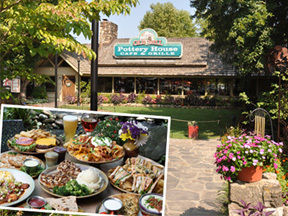 Their sister restaurant, Pottery House Cafe and Grill, sits across the street and offers healthy and unique menu options, all of which are well prepared with fresh ingredients and absolutely yummy! Naturally there are dozens of other restaurants that call the Smoky Mountains home, and you can dine on almost any kind of food especially Smoky Mountain favorites like barbecue and trout. Of course local restaurants specialize in burgers, steaks, skillets, pancakes, diner food and more. Whatever your reason for coming to the Smokies, we can accommodate your needs and desires. Variety is the spice of Smoky Mountain life and you will find unlimited choices on housing, shopping, dining, attractions, outdoor activities and general entertainment. For lodging information please go to http://smokymountainslodgingguide.com/. There you can check out area hotels, condos and cabins. And for coupons, information, events, video and more check out the Best Read Guide site at http://www.bestreadguidesmokymountains.com/. Enjoy your stay in the Smokies! !